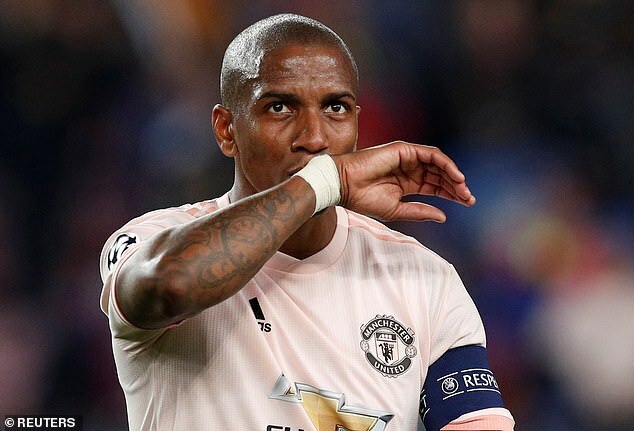 Football’s equality charity Kick It Out has called for action on ‘rampant discrimination’ on social media after Ashley Young became the latest footballer to be racially abused online. The Manchester United full back was subjected to abuse following their Champions League quarter final elimination at the hands of Barcelona. 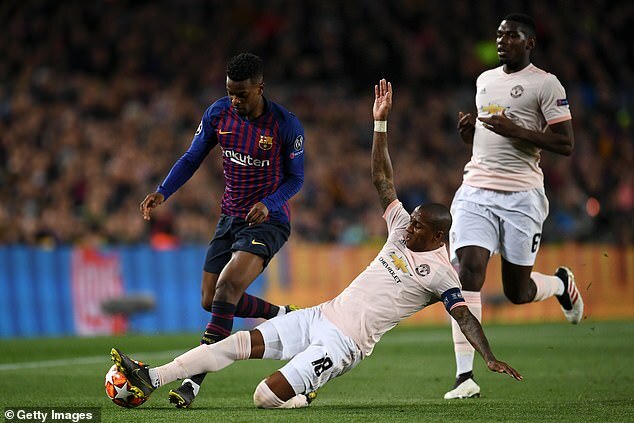 Young played the full 90 minutes at the Nou Camp as United suffered a 3-0 defeat, exiting the competition 4-0 on aggregate. It is the latest in a spate of incidents where black footballers at English clubs have been racially abused, and Kick It Out accused Twitter of not doing enough to combat the problem on their platform. 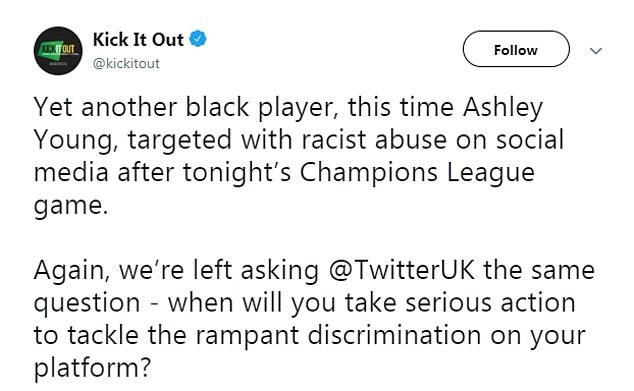 In a statement released online, Kick It Out said: ‘Yet another black player, this time Ashley Young, targeted with racist abuse on social media after tonight’s Champions League game. Numerous high profile players have been victim of racist abuse recently, including Mohamed Salah, Raheem Sterling and Kalidou Koulibaly. A racist chant from Chelsea fans targeted at Salah was posted online before their Europa League game away to Slavia Prague last Thursday. Sterling was subjected to racist abuse while playing for England away to Montenegro in a Euro 2020 qualifier, while team mate Danny Rose said he ‘can’t wait’ to retire from playing due to discrimination. Arsenal are currently investigating after another online video showing racist abuse, from a supporter directed at Napoli defender Koulibaly.